RSVP to fablecroft@gmail.com or via the Facebook event page. Throughout history, women from all walks of life have had good reason to be cranky. Some of our most memorable historical figures were outspoken, dramatic, brave, feisty, rebellious and downright ornery. Cranky Ladies of History is a celebration of 22 women who challenged conventional wisdom about appropriate female behaviour, from the ancient world all the way through to the twentieth century. Some of our protagonists are infamous and iconic, while others have been all but forgotten under the heavy weight of history. Remember, you can also enter to win a copy of the book on Goodreads! 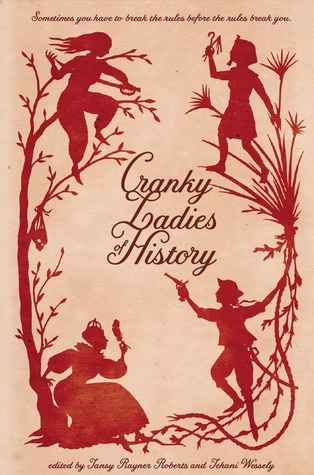 This entry was posted in Cranky Ladies of History and tagged book launch, Cranky Ladies of History, Karen Middleton. Bookmark the permalink.